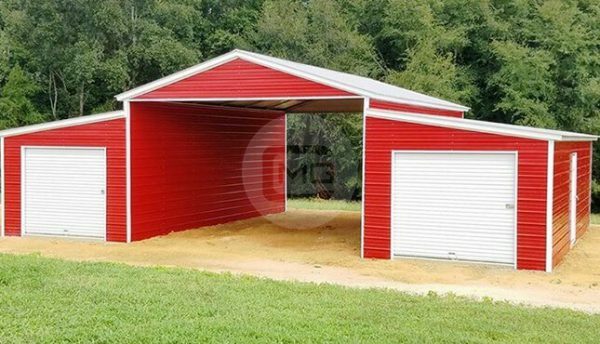 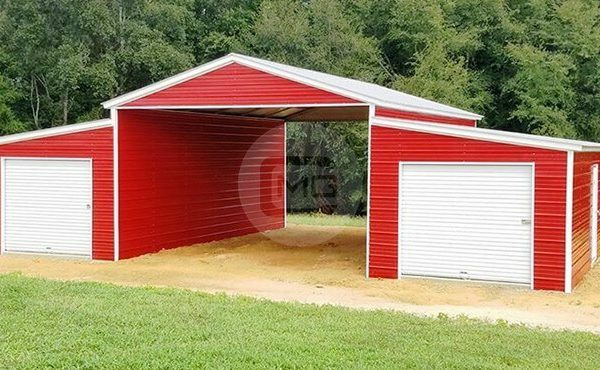 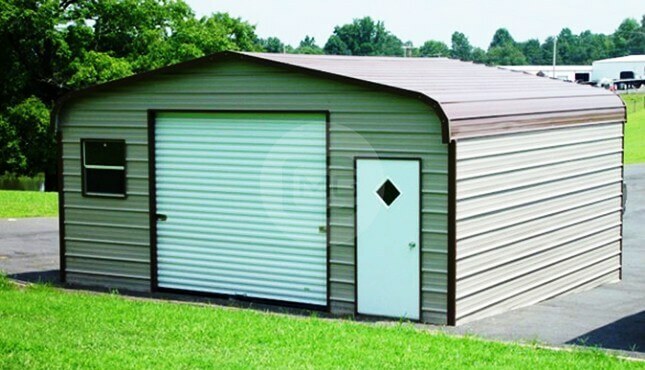 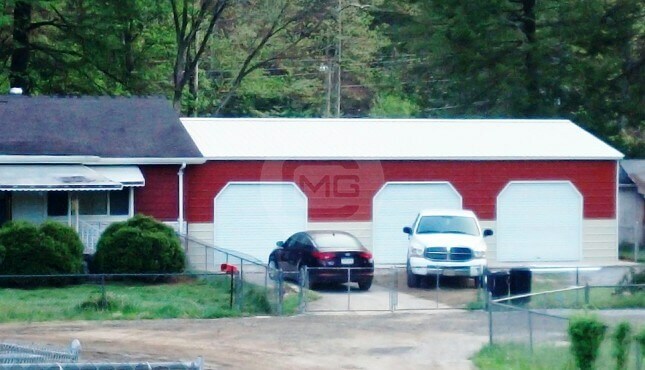 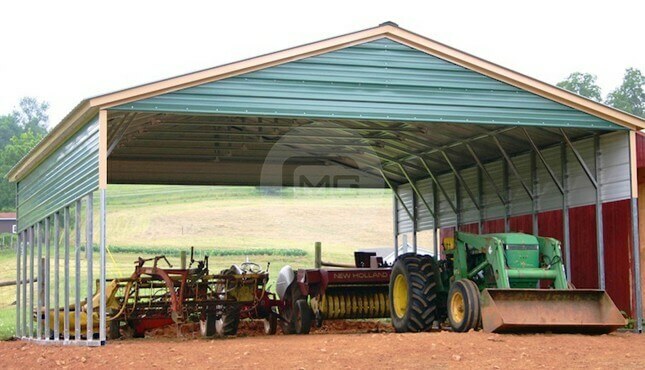 We have pictured a 48x36x12/9 Vertical roof Carolina or step down roof style barn. 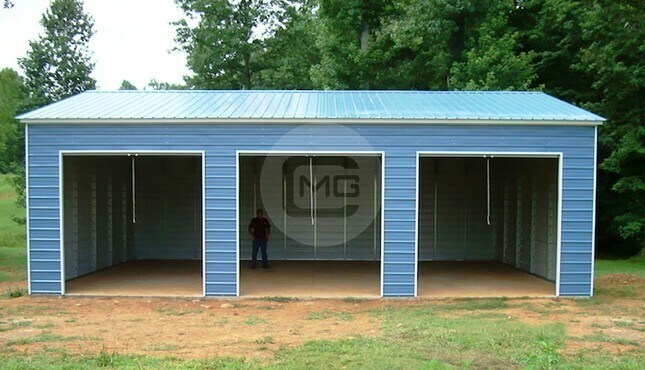 The center section is 24x36x12 Vertical roof with both sides closed and (2) gable ends. 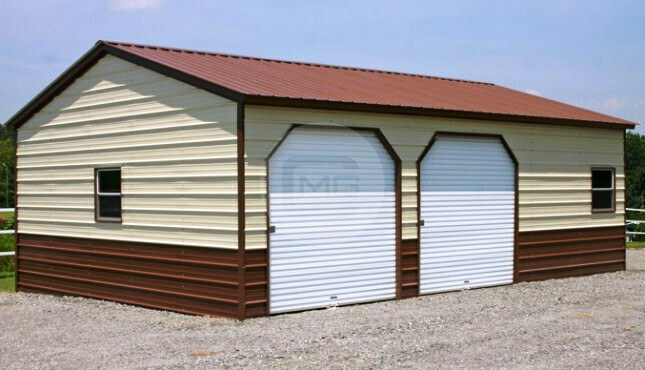 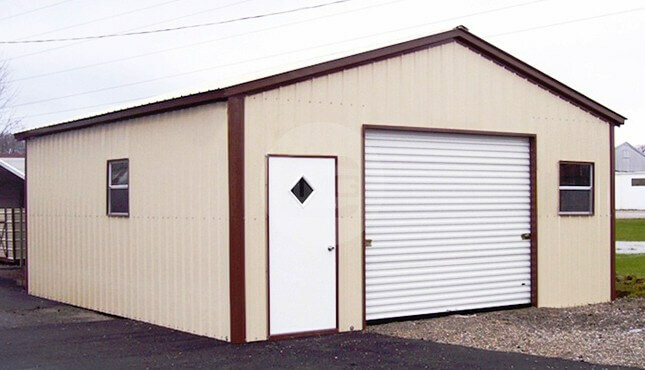 It has (2) 12x36x9 Vertical roof lean-tos attached one on each side. 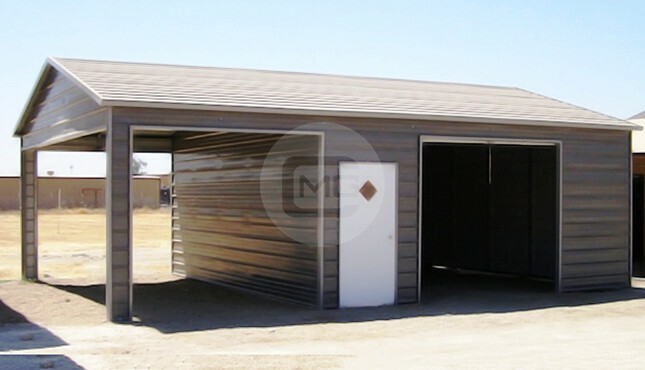 The lean-tos are fully enclosed with (2) 9×8 metal roll up doors on each lean to front wall. 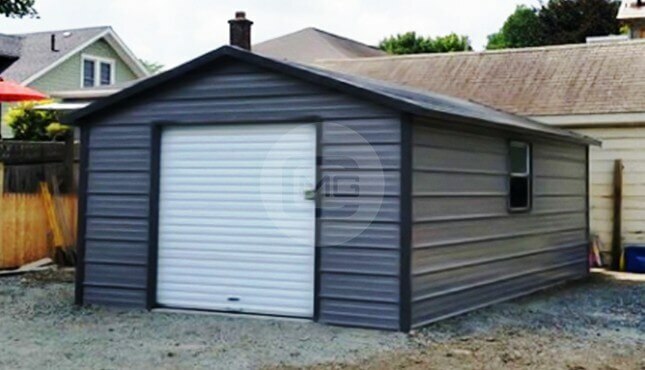 It has (1) 36″ x 80″ walk in door, and (3) 30″ x 30″ windows.